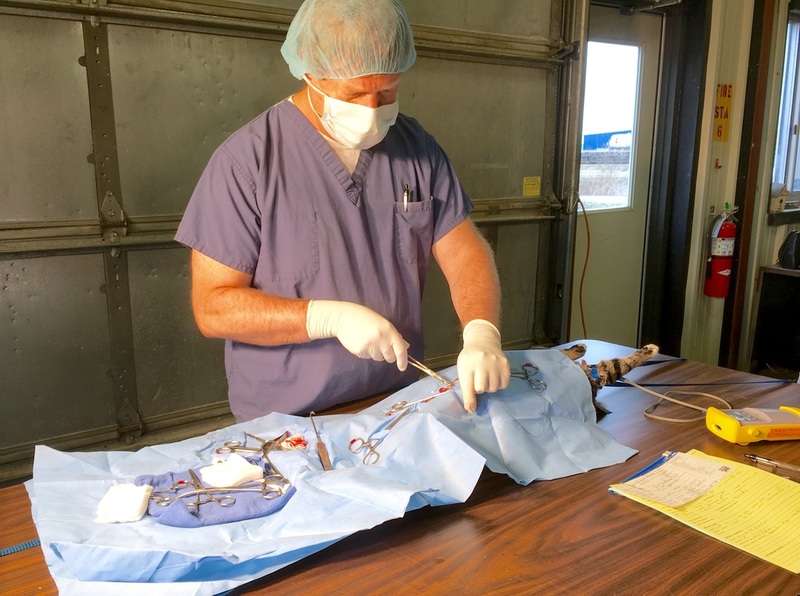 2016 Spring Clinics - Alaska Rural Veterinary Outreach, Inc. It was a pleasure to return to Dillingham this April for our 4th clinic there! 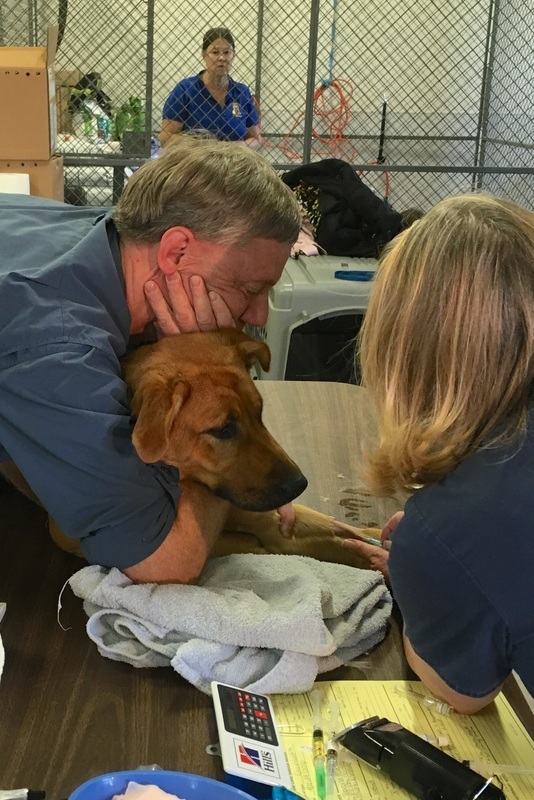 Our amazing medical team inc​luded Greg Closter, DVM from Wasilla Vet; John Basler, DVM, and Jan Frazier, LVT, both from College Village Animal Clinic in Anchorage; Yvonne Leutwyler, LVT, and Kira Veeder, Volunteer, both Dillingham residents. ARVO volunteer Elizabeth Bailey did an outstanding job handling all the paperwork and keeping things organized. Local animal control officer DanBoyd did his usual terrific job getting the facility ready for us, and for being on-site the whole time helping with surgery packs and much more. It was a pleasure to meet so many caring pet owners, and work with so many great pets. All in all, 33 dogs were spayed, 13 were neutered, and 31 received additional non-surgical support..
​​The tiny village of Kokhanok (only about 175 residents) was the location of ARVO's very first clinic, in October, 2012. So it was a treat to return there and provide a clinic at the Old School once again. Local Health Aide and volunteer Kyle Aguiar did an amazing job coordinating things at that end. He was ably assisted by local volunteers Lisa Lacson, and Mary Schneider, who came from ANTHC in Anchorage especially for the clinic. 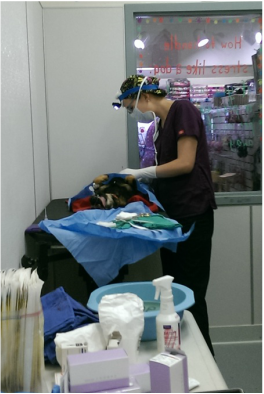 Our terrific medical team did 16 spays, 20 neuters, and 2 additional non-surgicals. Thank you, Jenn Bando, DVM, and Cody Czer-Ransom, LVT, both from Homer Veteirnary Clinic; Jessica Spotts, DVM, from Ravenwood Veterinary Clinic in Eagle River. ​Once again we had the pleasure to work with some wonderful pets and their people. ​﻿ARVO returned to Nome for our 3rd clinic there. 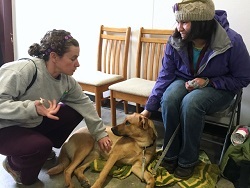 Medical team included Adriana Fisher, DVM, and LVT Kimberly Knapp, both from VCA Big Lake Animal Hospital in Wasilla; and Erin Earhart, DVM, and Julie Reynolds, LVT, both from The Pet Stop in Anchorage. ARVO volunteer Denise Abel, (a Nome veteran at 2 previous cinics there), once again did her magic to keep things organized and the surgery packs sterilized repacked and moving. 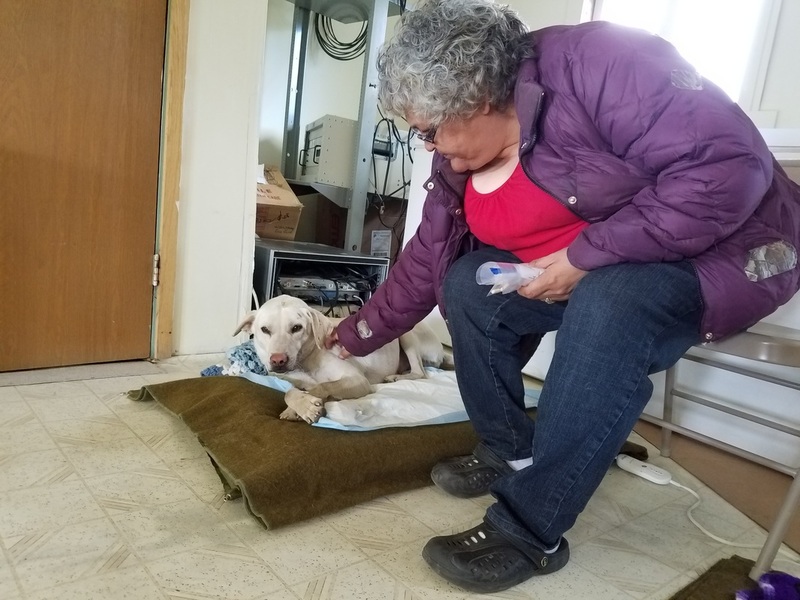 Nome is fortunate to have an amazing local animal welfare group, PAWS of Nome, who provided some dedicated volunteers to help at the clinic. 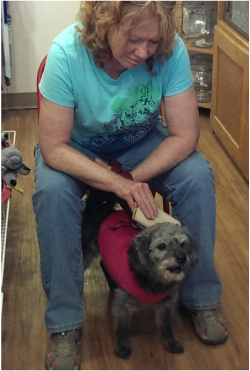 And once again, the Nome Animal House boarding and grooming facility, hosted the clinic there. 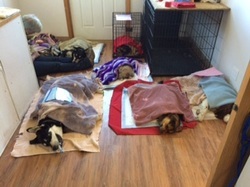 By the end of the weekend, 20 females had been spayed and 14 males neutered. An additional 7 received non-surgical services. Many thanks to all those who made these clinics such a success.